Many of us experience moments of living with ease where we can have peace of mind. We may not always notice them, but they are there. These moments have several things in common. They never involve the past or future, and are always rooted in the present. They are not based in thinking, but in noticing. They happen when your mind, body and environment are together as one. Let me give you some examples you might have experienced in your own life. Did you ever stop to take in a beautiful view or an amazing sunset? Do you remember the first time you held your child? Have you ever been totally captivated by a story a friend was telling you? In moments like these, your mind is together with your body and focused on whatever is happening around you (your environment). All three are together and when that happens, you are at ease: not worrying, not regretting, not planning – just present. These are what I call ‘mindful moments’. The great news is that, with a little practice, any moment can become a mindful moment. When you intentionally build enough mindful moments into your day, they coalesce. When this happens, you are living mindfully. You are living with ease. This is all possible because of one of the greatest gifts we human beings possess: a mind that can only focus on one thing at a time. When you are drinking in a beautiful vista, you are not worrying about the future. When you are engrossed in a conversation, you have no room for thinking about the past. If you think deeply about it, you will see that the vast majority of your anxiety comes from allowing your mind to dwell in the past or worry about the future. The truth is that this activity does no good; it doesn’t actually change anything and causes dis-ease. Research has shown that we spend about 60 per cent of our time in what scientists call ‘default mode’. Essentially, default mode is where your mind is off thinking about something other than what you are actually engaged in at that moment. If the mind is not focused on what we are doing now, it is in the past or future and this will inevitably cause suffering. 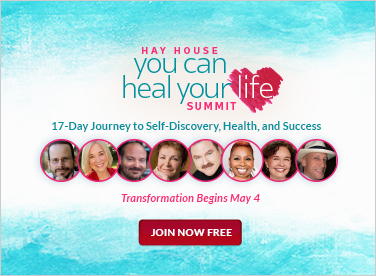 This suffering can take many forms, including confusion, regret, worry, anxiety, longing, annoyance, jealousy, fear, and a whole plethora of other stuff you could happily do without. The key to living with ease is to bring your mind to whatever activity you are involved in right now, to fill your day with mindful moments. This stops the mind from slipping into default mode, allowing you to be present for and enjoy more of your precious life. The actual practice of living mindfully is extremely practical and requires doing, not thinking. 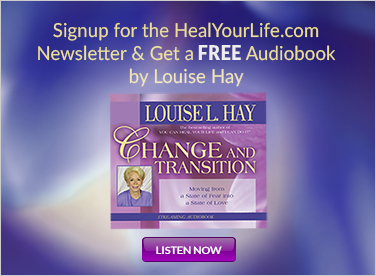 You don’t need to change your daily routine in any way. You simply need to become aware of what you are doing. The practice is to gather the mind. You have two very powerful tools to help you with this task: mindfulness and awareness. Awareness is the intelligence that tells you what you are doing and mindfulness is the tool you use to hold your mind on that activity. Awareness tells you that you are washing the dishes. Mindfulness causes the mind to notice the warmth of the water, the feel of the plates and cutlery, the motion of your hands and arms. Through using these two tools you can become aware of what you’re doing and mindful of how you’re doing it. I am sure you get the idea. You can bring the tools of awareness and mindfulness to any activity and create a mindful moment. As you build this habit, mindful moments become mindful days and before you know it you’re living mindfully. Living mindfully means living with the awareness of what is taking place right now. It allows you to show up for your life more of the time. Mundane tasks take on a whole new sense of meaning. Activities you used to do on autopilot now bring a sense of calm and joy. You become more interested in others and more interesting to others. Living mindfully will allow you to experience the extraordinary joy of living with ease. You can try this simple yet profound practice for yourself. Pick four activities you do on a daily basis and turn them into mindful moments. Put out reminders for yourself, for example, if you choose sweeping the floor, write an ‘M’ on the brush to remind you to do it mindfully. When doing these tasks mindfully and with awareness becomes your natural habit, add four more. 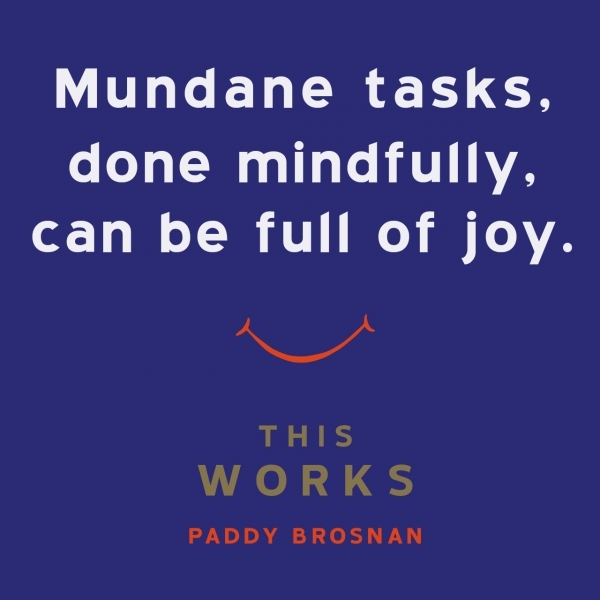 For more everyday mindfulness tips that REALLY work, read 'This Works' by Paddy Brosnan.